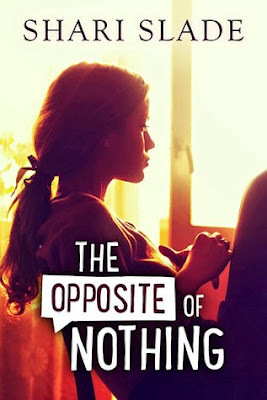 Today I'm delighted to welcome Shari Slade, author of The Opposite of Nothing, to my blog. 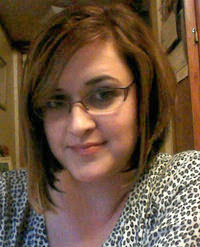 As you read her post, you'll probably guess what attracted me to her book. I first got the idea for The Opposite of Nothing when the Manti Te’o scandal broke last year. I wanted to write a “catfish” story with a happy ending. According to extremely unreliable internet sources, the name Tayber means “misfortune.” This is appropriate. Callie is short for Callista, which comes from the Greek for “most beautiful.” No wonder she’s uncomfortable with it. I purposefully omitted the name of the song Tayber sings along with in the car after he and Callie go to the movies. I wanted it to be whatever song the reader wished a crush would sing to them. For me…he’s singing Ana Ng by They Might Be Giants. When Callie wallows in her guilty feelings, she plays a punk rock cover of the Fiona Apple song Criminal. As far as I know, there is no professionally recorded punk cover of that song. I so wish there was.